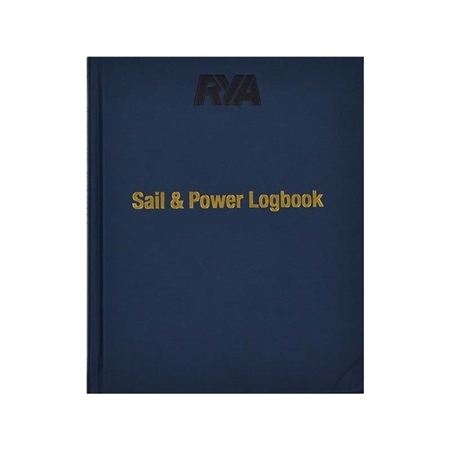 The RYA Sail and Power Logbook combine the previous RYA Sail and Power logbooks into one incredibly useful volume that is ideal for all cruising boaters. This new logbook contains 90 logging pages and the bonus sections include IALA buoyage; international code flags; plotting essentials (which incorporates dead reckoning and estimated position); and common abbreviations for nautical terms. This new logbook has been designed to reflect more of the cruiser's needs than ever before. 8–9: Distance Sailed in a Given Time. 10–11: Distance Covered in a Given Time (Motor). 13: Common Abbreviations (delete Deviation). 16–105: Log pages (Date box at top; Columns: Time, Course, Log, Distance, Leeway, Barometer, Wind, Cloud, Precipitation, Position, Engine (Oil/Temperature/RPM), Remarks; Forecast and crew box; Route box; Passage Totals/Running Totals/Engine Hours/Fuel box). 112–113: Service Data and Service Notes.